SEOUL, July 29, 2010 (AFP) - South Korean Prime Minister Chung Un-Chan offered to quit Thursday to take responsibility for the government's failure to win parliamentary approval for a key development project. "I'm quitting the post of prime minister, taking all the responsibility," he said in a televised statement. It was not immediately known whether President Lee Myung-Bak, who effectively wields power under the South Korean system, would accept Chung's resignation after rejecting three previous offers. 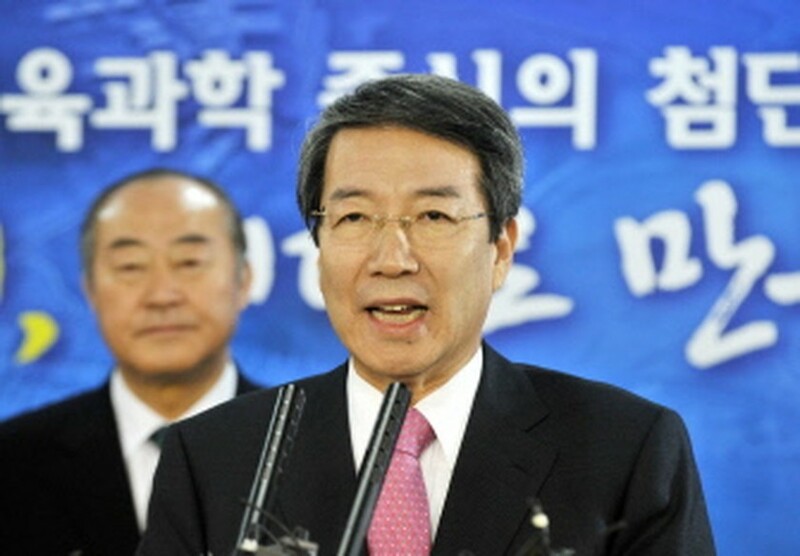 Lee suffered a blow last month when parliament rejected his attempt to scrap his predecessor's plan to relocate half the government ministries to a new city south of Seoul. The prime minister had drawn up Lee's alternative plan for Sejong City, which the government hoped to develop as a science, business and education hub. But Lee secured a major political boost late Wednesday when his conservative ruling party, recovering from a humiliating defeat in last month's local elections, unexpectedly won five of eight parliamentary by-elections. Chung, who has been in office for 10 months, said his resignation would help the president to make a new start midway through his five-year term. South Korean presidents serve only one term. An aide to Chung quoted by Yonhap news agency said the prime minister had decided to go to give Lee a "free hand" in an upcoming cabinet reshuffle. The original government relocation plan was touted as promoting balanced regional development in a country where almost half the 49 million population lives in Seoul or surrounding cities. But critics depicted it as a pork-barrel project aimed at attracting votes, which would have created administrative inefficiencies.